While Netflix has seen a great deal of success with its original television series (Iron Fist notwithstanding) and documentaries, its fictional movie efforts have so far failed to reach the same heights, from Adam Sandler’s 18/100 rated monstrosity The Ridiculous 6, to the sequel nobody either needed, nor asked for, Crouching Tiger Hidden Dragon: Sword of Destiny. Now the streaming giant is getting serious about film with the acquisition of Scott Stuber, the movie producer responsible for Kill the Messenger, Patriot’s Day, and uh...Ted 2. Amazon’s movie efforts have met with more success, including such films as Manchester by the Sea, which was nominated for the best picture Oscar, and earned leading man Casey Affleck the best actor gong. Amazon has also followed a more traditional release format, by allowing its films to see theatrical releases before making their way to the streaming service. Meanwhile, Netflix has made enemies in the movie theatre industry by allowing its films to be streamed the day they’re released in cinemas. Of course, one producer isn’t going to change Netflix’s fortunes in this area, but it’s an interesting sign that it’s taking film seriously. The streaming giant has also acquired the rights to an unfinished Orson Welles movie that's been stuck in production limbo since the 70s. 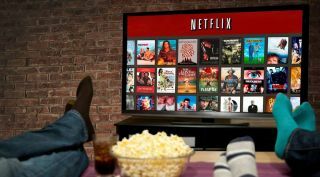 If you want to watch a movie to watch right now, check out our list of the best films on Netflix.